Photo: Jens Dresling from Politiken. Spring cleaning in Copenhagen. 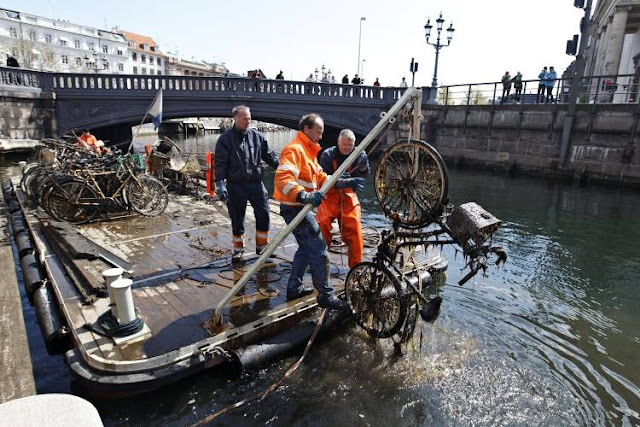 Yet another harvest of bicycles are brought to the surface in Frederiksholm's Canal. Check out the photo series on Politiken's website.